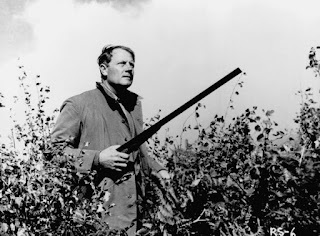 A U.S. Army colonel (Joel McCrea), stationed in England, has rented a nice bit of land for some rough shooting. 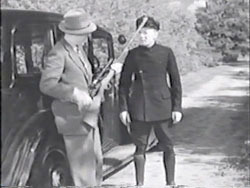 Worried about poachers, he tries to scare off one of them by firing a shell of buckshot at the stranger’s posterior. McCrea is shocked minutes later to find the trespasser mortally wounded. 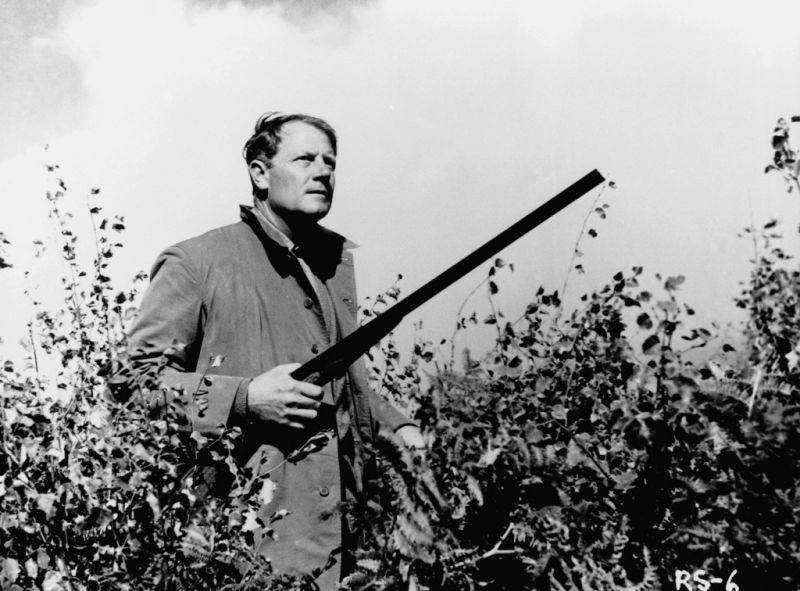 What McCrea doesn’t realise is that another man (Marius Goring) simultaneously shot the stranger with a rifle. When ‘his’ victim dies, McCrea panics and hides the corpse. Soon, he is immersed in intrigue and danger - the dead man was pivotal in an on-going case of counter-intelligence. I must write that I was disappointed in Rough Shoot. I enjoy a thriller in which a decent chap is inadvertently caught up in criminal adventure or international espionage. The Thirty-nine Steps, Journey into Fear, and the like, are fun evenings at the movies. 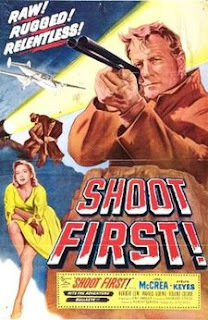 The script in Rough Shoot is by a specialist in such tales, Eric Ambler, with the story from a novel by Geoffrey Household, who wrote Rogue Male. The direction is good, as is the acting. So what was wrong with it? The main character is not only rather dim, but also a bit of a wet noodle. Please excuse my language. Firstly, he shoots someone with a shotgun, but, upon examining the body (he initially thinks the man hit his head when he fell), he doesn’t seem to note the difference between a wound of buckshot pellets and that from a .303 rifle. (We learn later that McCrea hit the stranger ‘where he was intending’ - in the bum.) One assumes the rifle round struck a vital organ, since the man died of it. McCrea’s character wears the shoulder flash of an armoured division; maybe he knows more about the effects of tank guns than shotguns. Then, he ‘panics’. While this emotion may assail anyone, even professional soldiers, it does not make for a good adventure hero. Though we may sympathise, we want someone a bit more resourceful, someone who keeps his head. Robert Donat, in The Thirty-nine Steps, or even Gene Wilder, in The Silver Streak, come to mind. 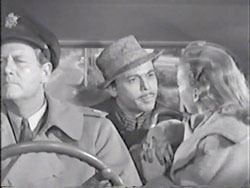 McCrea’s wife (Evelyn Keyes) comes across as much more level-headed and able. She knows something is amiss as soon as her husband returns from his shooting. This leads to McCrea’s third problem: he is not an interesting character. He is quite bland. The other characters are much more entertaining. In particular, Herbert Lom, as an expatriate Polish army officer, now working for the British government, is the sort of man who makes a film enjoyable, and Roland Culver, as an MI5 officer, says and does all the right things. But these two merely highlight McCrea’s incapacity. Oh, and that’s Joan Hickson, much later to be the world’s best Miss Marple, as the announcer at the railway station. As well, there is an old-fashioned feeling about Rough Shoot. Produced in 1953, it conveys more a sensation of the 1930s in its involvement of the amateur. The Second World War created a greater and deeper professionalism in intelligence work - for good in real-life, but for ill as regards fiction. While the innocent victim can still become caught up in a mystery, it seems unlikely that the authorities would encourage it, at least under these circumstances. This is not a great fault of Rough Shoot, but it does make it feel slightly anachronistic. The real problem is, as mentioned, the central personality. Much may be forgiven an adventure story, but when the main character is too flawed for us to imagine ourselves in his place, it creates a problem that cannot be overcome. I like Joel McCrea as an actor. 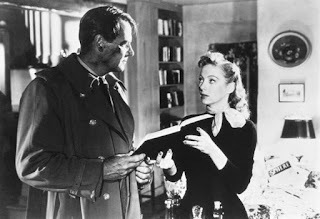 He is excellent in Foreign Correspondent - also a spy thriller - and Sullivan’s Travels, and he may be my favourite western star, next to Randolph Scott. But here, the personality given his character lets him down; he has nothing into which to sink his teeth. While passable, Rough Shoot is a rather mixed bag. It's a pity the movie didn't really "work"--it sounds like it had a pretty good cast.